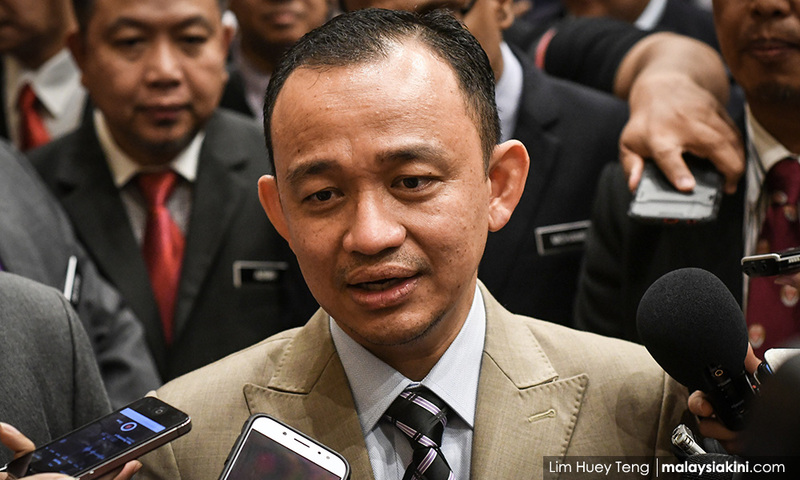 Dr Maszlee, who is a member of the PPBM, has announced that opposition lawmakers who want to enter government schools would first need to obtain approval from the relevant state education directors before they can be allowed to visit the schools. The issue comes to light after a PAS politician claimed that he was recently barred from entering government schools despite being an elected representative. While Deputy Minister in the Prime Minister's Department Hanipa Maidin said he wanted this claim to be looked into as he does not want the opposition to be treated as how he was treated when Pakatan Harapan was the opposition. "It is not right and goes against the principle of equality before the law under Article 8 of the Federal Constitution," Hanipa was quoted as saying by Malaysiakini. According to Malaysiakini, Dr Maszlee said that a circular by the Education Ministry, used for all opposition parliamentarians, states that any application to enter schools have to get permission from the Education Ministry through the state's director. In an immediate reaction to Dr Maszlee's decision, several individuals including PKR Youth Chief took to Twitter to call him out for practising a "BN-era double standard policy"
@maszlee Dear Dr Maszlee, pls revoke the previous circular banning opposition MP from school visit. This is not what we expect from Malaysia Baharu. Oppo MP is legally choose by the rakyat. Rembau MP Khairy Jamaluddin also joined in and remarked that he thought the "new Malaysia has no more restrictions"
He concluded his Twitter thread saying that all elected representatives, regardless of their party, have to be trusted to act responsibly when involved in a public discussion. "Action can be taken if any of them uses this platform to incite racial or religious hatred or to spread party propaganda. But in most cases, politicians should be allowed to enter schools, colleges and universities when they are invited. "I don't understand why issues like this still arise in the ‘New Malaysia’, Pakatan has to be different. We need be better in issues like this, and all other matters," he tweeted. George Town Teacher Turns Himself In After He Killed His Wife Over A "Misunderstanding"
He hit his wife repeatedly on her head with a laundry drying rack. However, investigations are still ongoing.